James Dean, lost on the highway of death, after his car crash enters a life review & tries to get forgiveness for pursuing fame. He reads mysterious signs and tries to figure out what is going on in the death spiral he has entered. Defiant, he tries to go back to life then faces 7 visitations to see if he can be saved from an eternity of torture. Visitors include his dead mother, his lovers, and lost souls murdered in car crashes. Visions of the afterlife and mysterious voices collide to push James forward to kill the worst sides of himself and be reborn in a world of forgiveness and redemption. 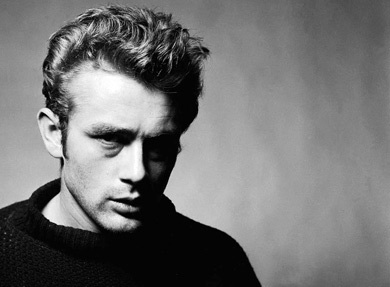 JAMES DEAN, an actor, 24, smashing looking - tall and athletic, broad shoulders, angular features. He is terribly battered, his red jacket torn, his jeans ripped and looks 34, not 24. He hallucinates, talks to imaginary images he sees. James Dean on "The Highway of Death"